22 Jan Facebook Pages Replace a Business Website? As one example, a customer of yours ‘likes’ your page – and hey that’s awesome! But, consider this, once they stop interacting on the page (sending you likes or comments), your page will stop showing in their newsfeed. It doesn’t stop there unfortunately, once your page stops showing in that customers newsfeed, it starts to effect other customers of yours – and eventually you will likely find you’re having to spend money on Facebook ads or boosted posts for your Facebook Pages. That free platform, starts to not become so free after all. Your brand should be your business, or vis versa. So ask yourself this, can a Facebook Page replace a business website when it comes to your brand? Now sure, you can change your cover photos, input your business information – but the format, the buttons, the extras – look just like everyone else. Small businesses especially, need to consider what they can do to set themselves a part. 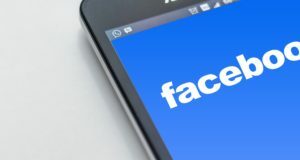 Facebook Pages are often missing a lot of information that customers are looking for – The address may be visible and perhaps a review from YELP (Business Review website in North America) however, many potential customers want to learn a little more about who you are and what you’re about. A dedicated website enables you to completely control your brand and acts as a main hub on the web where interested, potential customers can go for all the information they’re looking for. A dedicated website also has Google search on its side. This is a big deal. It’s true a Facebook page can be found via a search engine, but it doesn’t provide the same comprehensive SEO control of a dedicated website. This point should not be overlooked. A website enables you to create your content to the exact kind of phrases and keywords your potential customers are searching for, compared to that of a Facebook page, where the ability to do this is limited. Showing up as highly as possible in online searches is a critical component of any business’ acquisition strategy. Overall, can Facebook Pages replace a small business website? In our opinion, no. Should you have a Facebook Page for your business? Sure – all visibility helps your business, your brand. Is it enough? Probably not – it will not give you the digital presence you need to not only stand out, but keep up in today’s world. A dedicated website isn’t a want, it’s a need.